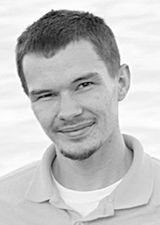 RACINE—Jacob R. Deschler, 26, passed away at his residence on Thursday, April 11, 2019, following an epileptic seizure. He was born in Racine, on July 13, 1992, the son of Keith and Susan (nee: Canfield) Deschler. After leaving Washington Park High School he went to Gateway Technical College and studied CNC operations. Jacob enjoyed hunting, fishing, and listening to all kinds of music. He was a big Brewers fan. Surviving are his son, Carter; father, Keith Deschler; mother, Susan Canfield Deschler, all of Racine; brother, Gage Deschler (Hannah Morgenson), of Oak Creek; sisters, Jessica Knoll, of Kenosha, Chelsea Deschler and Melissa Vance, both of Racine; maternal grandmother, Judy Canfield, of Racine; nephews, Skyler, Jaxson, Matthew, and Drew; niece, Addison; uncles, Michael (Sheila) Canfield, Ronald Deschler (Kim Steege), Mike (Donna) Jones and Jim Dunn; great aunts, Jackie (Jeff) Burch and Barbara Girton; and his best friend and fishing buddy, Jamie “Whitey” Gehrig. many cousins, and friends. Jacob was preceded in death by grandfathers, Richard Canfield, Ronald Deschler, and uncle, John Zamenick. His funeral service will be held in the funeral home on Thursday, April 18th, at 6:00 p.m. Visitation will be in the funeral home on Thursday, from 4:00 p.m. until the time of the service. In lieu of flowers the family has suggested memorials be directed to the family to establish an educational fund for Jacob’s son Carter.